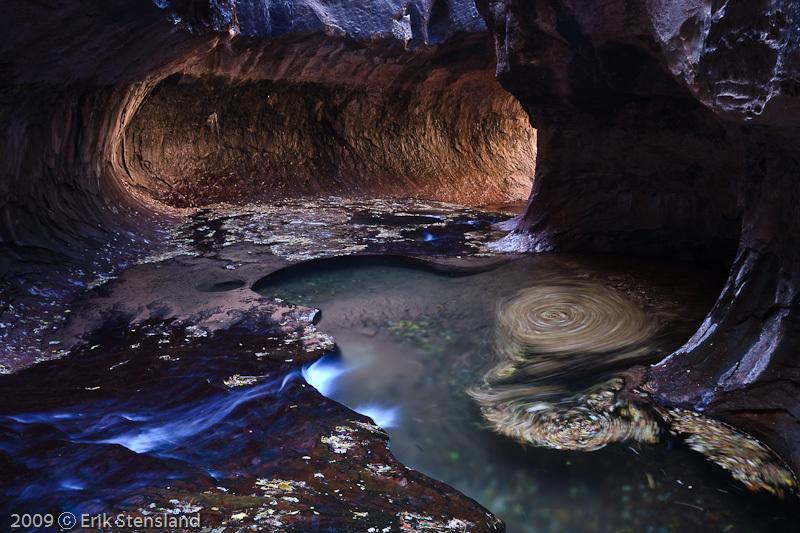 Five miles up the Left Fork trail in Zion National Park is this section of canyon which becomes almost a tunnel. This is known as "The Subway" and has been shot thousands of times. On this day I was alone with seven other photographers, four others at the top and three others around the corner. The warm lighting streaming in from a reflected sandstone wall at the far end of the tunnel contrasted with the dark, almost blue tonality of the inner portion creates a feel that it is hard to find almost anywhere else. Photo © copyright by Erik Stensland.